If you are in the market for a new or preowned Ford Transit or Transit Connect in the greater Oklahoma City metro or Edmond area, we invite you to come discover why Vance Country Ford in Guthrie, OK is worth the trip. We are a short 10 minutes north of Edmond and 30 minutes north of downtown Oklahoma City on I-35. 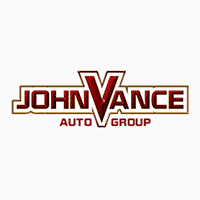 Vance Auto Group has been dedicated to serving Oklahomans for over thirty years. We treat you like hometown neighbors. We may sound small town, but we offer a big city inventory and service. Since we have nine full service dealerships, we have a huge selection of used vehicles to draw from. If it is a new Ford Transit or Ford Transit Connect you’re searching for, Vance Country Ford can hook you up. Let’s take a look at these two vans that sport similar names but have such differing qualities. Your choice of three roof heights, three lengths, two wheelbases and three powerful engines to fit your business, school, or church needs. The Ford Transit and Transit Connect are so versatile, they can be customized in so many ways to carry a whole service department, installation supplies, sales merchandise, a large family, school kids, adults. Come see us at Vance Country Ford and we can help you find the perfect fit for your needs. We’ve been helping Oklahomans find the perfect vehicle for their needs for over thirty years. We would love to show you how we keep customers as our top priority.